Are you an aspiring makeup artist? To be a great makeup artist is a stunning profession because you have the skills and capacity to make someone look good by means of using your makeup products. Combining makeup shades and colors that suit to someone’s complexion and facial features require expertise so that you’ll meet and satisfy needs and wants of your clients. If you really want to improve your skills on applying makeup then it is highly recommended that you enroll in a makeup school. Yes, there are makeup academic institutions today that teach techniques and professional ways of applying makeup. 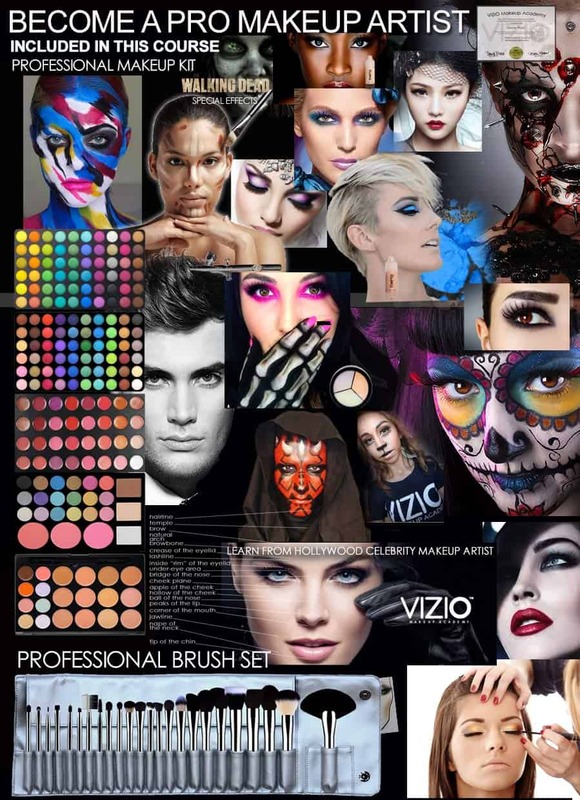 One leading and best makeup artist school in the country is VIZIO Makeup Academy. By means of enrolling at VIZIO Makeup Academy, you’ll get an elite professional makeup course so that you can continually improve your skills and knowledge on applying makeup. VIZIO Makeup Academy is considered as a reliable and best makeup artist school in the country. One of the best makeup courses offered by VIZIO Makeup Academy is Elite Makeup Course with Special FX. What is Elite Makeup Course with Special FX? Students who want to study that art of using makeup products have several makeup courses to choose from. Elite Makeup Artistry Course with Special FX is one of the leading makeup courses offered by VIZIO Makeup Academy. Enrolling to this makeup artist is indeed a great way for you to improve your skills and knowledge when it comes on applying makeup. Elite Makeup Course with Special FX is a great and excellent makeup course that will enable you to learn more on this craft. Elite Makeup Course with Special FX suits to people who want to learn almost everything about makeup artistry. This makeup course is highly recommended to people who are already in the makeup artistry industry who want to learn more makeup techniques and styles. No doubt that it is a great idea to enroll at Elite Makeup Course with Special FX. Elite Makeup Course with Special FX includes wide range of sub topics and lesson. It is a complete makeup course that starts from tackling introductory makeup artistry lessons up to the advanced makeup artistry. It includes lessons on using airbrush makeup, effects, FX mastery and many more. Elite Makeup Course with Special FX is a VIP makeup artistry course. 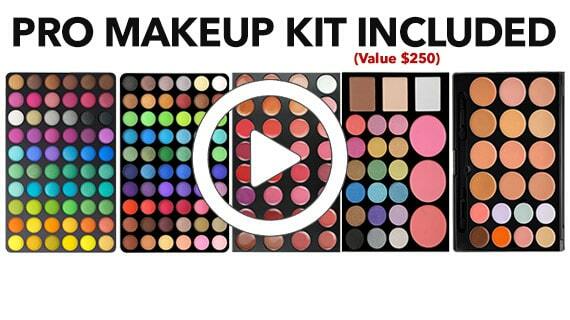 All students who will enroll to this makeup artistry course will get Elite Pro Makeup Kit. 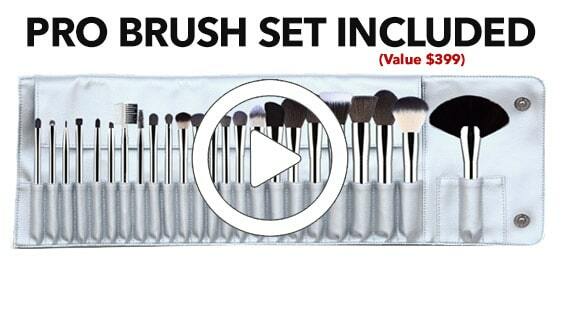 The Elite Pro Makeup Kit that you will receive includes different makeup tools such as elite silk 20 PC HD Brush Set, HD Makeup Kit, You are also entitled to receive ebook edition for student. The ebook contains lessons that will help you understand well the makeup artistry. After the course, you are expected to learn more about history of makeup, choosing best makeup kit, color theory, choosing correct foundation, the Cleopatra cat eye look and many more. So, if you are interested then you must not hesitate to consult VIZIO Makeup Academy. Feel free to contact VIZIO Makeup Academy.